Oh My, Mocha is Back on 4 July! Does the creamy blend of chocolate and coffee get your tastebuds tingling? Set your alarms because the term ‘coffee break’ has a whole new meaning with the seasonal IsaLean™ Shake Mocha making its way back into the flavour rotation on Wednesday 4 July! Yes, that’s right! We’re bringing back this brew-tiful fan favourite for a brief encore! A mocha fiend? With 24 g of undenatured whey and milk protein, 8 g of dietary fibre and 21 vitamins and minerals, why not treat yourself to the decadent and comforting taste of mocha for breakfast, lunch or dinner. Only available while supplies last! Download the IsaLife™ app now and get ready to place your Wholesale order on Wednesday 4 July at 8:30am. 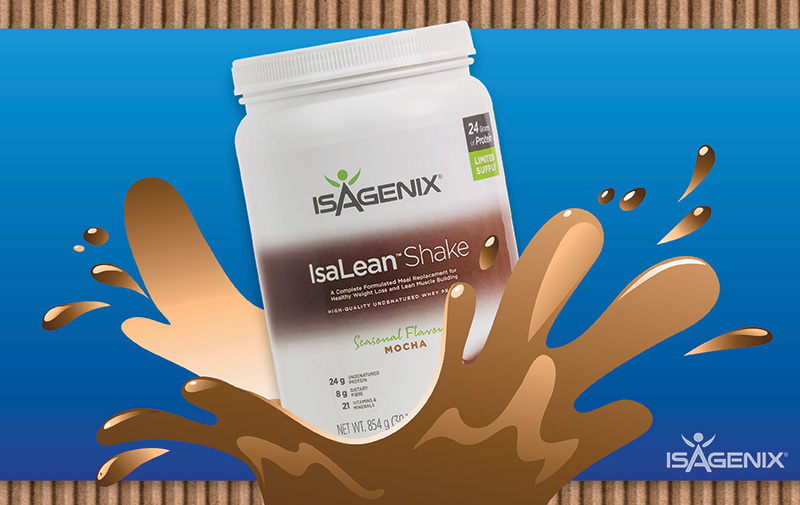 Keep your eyes peeled on the official Isagenix ANZ Facebook page for the launch announcement.